Educating musicians to combine craft and integrity in their music-making and to think beyond borders with a readiness both to engage with commercial structures and vested interests and to assume the role of cultural citizens and leaders. Using the challenge of audience engagement as a creative spur to re-thinking musical languages and performing contexts. We aim to cross not only musical borders (such as bar lines) but to gain deeper understanding of how we do our work as educators - and how we could do it. How much do our concepts, eurism seems to be everything? How can the responsibility to educate cultural citizens and leaders at the same time remain on top of our agenda? In 2016 the PJP meeting for the first time opened up to students and invited them to participate actively - which seemed logical from an audience point of view: the students are the next generation audience builders. We - the educators - must hear how they think about their future and engage in a discussion with them. The 2017 conference will involve students from across Europe who share a week of intense musical and artistic experience in the CoLab, an off-curriculum creative space organized by the hosting institution Trinity Laban. The PJP working group has published a Statement of Purpose about its raison d'être and aims. It will be available in the conference folder. On this very spot last year's invitation letter talked about drastic changes and challenges in Europe and the entire world: it said that fear was on the rise, cultural depth and freedom in general were being threatened. It seems the situation has not become any better - the world seems to be split up by interest groups that benefit from fear, anger and short-sightedness. The PJP is meeting in the capital of a country that is undoubtedly among the cultural and educational leaders in Europe but is to leave the Union soon. We hope Brexit will not affect AEC member institutions and European exchange policies on an all too significant scale. We believe that our motivation to contribute to positive thinking through music and music education should not only be kept alive but must grow against all odds. Jazz, Pop and creative musics have always propelled changes in society for the better. 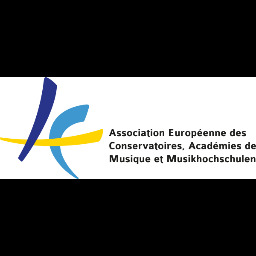 All practical information, including a detailed programme, the link to the compulsory online registration, and information about fee payment, travel and accommodation are available on the webpage of the event at www.aec-music.eu/pjp2017. Looking forward to seeing and talking to you in London! Bio: Evert Bisschop Boele studied Music Education in Maastricht and ethnomusicology at the University of Amsterdam. He obtained his PhD from Georg-August Universität Göttingen (D) on the basis of a dissertation on the uses and functions of music in modern western society. 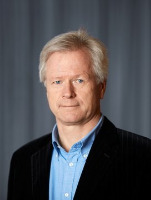 He is currently professor (‘lector’) ‘New Audiences’ at the research group Lifelong Learning in Music of the Research Centre Arts & Society/Prince Claus Conservatoire, Hanze University of Applied Sciences Groningen, and endowed professor of culture participation at Erasmus University Rotterdam. He teaches, supervises bachelors’ and masters’ theses and PhD dissertations, and coordinates research projects. His current research focuses on the fields of arts education and culture participation, and he works on an ethnography of a Dutch shanty choir. Audience and Performer Relations The relationship between the musician and his or her audience is essentially a relationship between individuals. It is a relationship between a particular musician and a particular audience member at a particular place and a particular moment of time. Thinking of the audience in terms of ‘a jazz audience’ or ‘the rock audience’ or in terms of ‘target groups’, of music as a ‘product’ to be ‘sold’ on a ‘market’, and of the relationship as one in which the audience has to be ‘developed’ does not help us. It prevents a clear sight on the essential idea that music at its best is a reciprocal process – a process between two individuals in two directions. The concert, then, might be seen as the social context specifically designed to make this reciprocal relationship happen. And that requires skills from musicians that usually remain hidden in curricula in higher music education. Curiosity about other people, empathy, reflexivity and modesty are some of them. Bio: Paul Bräuer studied musicology, sinology and journalism in Berlin and Shanghai. He worked for several music festivals and productions, amongst others at the House of World Cultures in Berlin. As a music journalist for public radio and print he specialized in classical and global music traditions. In 2009 he started working for Piranha on music metadata projects and as head of communications for the classical music expo 'Classical:NEXT', currently held in Rotterdam in cooperation with de Doelen concert hall as well as Codarts. Since 2014, Paul has been director of communications at Piranha Arts, including Classical:NEXT and WOMEX – the World Music Expo, where Paul is also involved in shaping the conference and connecting global music, educational and cultural diversity projects worldwide. #If we can’t make it here, we can’t make it anywhere! – Overcoming Genre, Gender and Nation in the ‘World Music’ community 2017 will see the 30th anniversary of the term „World Music“, once devised as a PR campaign by independent labels in a London pub. This seems to be a good time to revitalize the debates which seem to always smolder under the surface, but which are never really tackled in a fruitful way: why are terms such as “world music “ or colonialized nation concepts still so popular, why does even the world music scene have a gender problem? We need to overcome blunt categorizations of Genre, Gender or Nation. The dilemma is that – problematic or even wrong as they are – they fulfill many needs as regards promotion, creating attention, giving orientation to audiences etc. But on the other hand, where could we succeed with finding better alternatives for these concepts if not in the world music community, in a scene which is based on good intentions for the better of society like no other scene? In this short keynote, and following world café discussions, Paul Bräuer (director of communications at WOMEX, the World Music Expo, and its organizer Piranha Arts) will introduce and debate what could be workable alternatives to antiquated concepts. Let us look into actual solutions and how education and training in conservatoires can implement these. Complaining is forbidden! Let us stop the blame game but promote gender balance and give positive orientation. How can you actually fulfill demands of promotion and orientation without using genre or nation, how can we push for a gender balance in a sustainable way? The results and findings of these debates are to be used for further conversation at other conferences, networks and digital channels. Bio: Steffen Geldner works as a project manager for digital innovation at Popakademie Baden Württemberg, University of Popular Music and Music Business, in Mannheim, Germany. Among others, he is responsible for the studies with a digital focus in the Music Business Bachelor courses. He teaches subjects surrounding topics such as social media marketing, digital advertising or web technologies. In the first part of this presentation, Steffen Geldner will show how topics with a digital focus are implemented in the Music Business curriculum at Popakademie Baden Wuerttemberg, University of Popular Music and Music Business in Mannheim (GER). In the second part, he will give brief examples of how music managers and musicians can use social media to support their marketing and career goals. Bio: Ronan Guilfoyle is a bassist, composer and an acknowledged innovator in the area of rhythmic technique. He studied at the Banff Centre for the Arts in 1986 and 1987 where his teachers included John Abercrombie, Dave Holland, and Steve Coleman. Performing on the acoustic bass guitar since the early 1980s, Ronan is now one of the instrument's leading exponents, and is now much in demand as a bassist, both in his native Ireland and on the international jazz scene. Ronan has also acquired a formidable reputation as a composer in the world of contemporary jazz, and his music has been performed by such jazz luminaries as Dave Liebman, Kenny Werner, Kenny Wheeler, Keith Copeland, John Abercrombie, Richie Beirach, Tom Rainey, Julian Arguelles, In 1997 he won the Julius Hemphill Jazz Composition Competition in the United States. He has toured extensively in Europe, Asia, and America, performing with such artists as Dave Liebman, Kenny Werner, Joe Lovano, Kenny Wheeler, Brad Mehldau, John Abercrombie, Benny Golson, and Jim McNeely. Ronan's book, "Creative Rhythmic Concepts for Jazz Improvisation", is now seen as the standard text for the teaching of advanced rhythmic techniques. He has been a guest lecturer at many schools around the world including Berklee College of Music, The New School in New York, is an associate Artist of the Royal Academy of Music in London, and has also lectured for the International Music Congress (UNESCO) in Copenhagen. 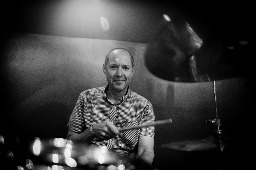 Ronan is the founder and head of the jazz department at Newpark Music Centre in Dublin, the only school offering post-secondary jazz education in Ireland. and is an associate Artist of the Royal Academy of Music in London. Ronan on Bebop for the 21st Century From the beginnings of jazz education in the academy, it's been accepted that students should learn the common practice language of jazz. - swing, changes playing etc. – in other words the language of bebop. In more recent times, and especially in Europe, there is a new questioning of the appropriateness of using this language as a core teaching method in the jazz education arena. Does Bebop still have relevance for today’s students and jazz schools? I believe that despite the fact that the social conditions that produced this music have long since passed, even in its American homeland, the use of this music as a learning tool still has great value – for several reasons. Firstly as a palette of skills that can be used in many different situations. To play Bebop even functionally you need a very strong technique, a deep understanding of harmony, tremendous rhythmic awareness and an ability to listen and interact in real time – this is a collection of skills that will always have value for the performing musician. Secondly it connects the student to the history of the music. Whether we ever play bebop as part of our careers or not, as long as we play jazz, we are connected to the continuum, and a knowledge of where the music came from makes us more rounded and grounded. Thirdly, learning the aesthetics of this period in music, and the way the originators of it thought about it and developed it, has great value for the contemporary musician, giving us context to different ways of thinking about music, and an insight into the thinking of some of the greatest musicians of the 20th Century. The study of bebop gives us technical skills, connects us to a great tradition of which we are descendants, and insight into deep levels of musical thought and innovation. To discard bebop as being not relevant to the music of today is to, musically at least, throw the baby out with the bath water…. Bio: Andrea Spain was Assistant Director of Music and Head of Learning & Participation at Trinity Laban Conservatoire of Music & Dance until October 2016. In 20 years as a producer of festivals, performances, music education and community programmes, her career has focused on creating musical opportunities for those who might otherwise not have access. Her work includes Animate Orchestra, a ‘young people’s orchestra for the 21st Century’, Teach Through Music, a professional development programme for London’s secondary school music teachers, and Isle of Dogs Music, addressing social isolation amongst communities in London E14. At Trinity Laban, she led the Faculty of Music’s work to widen participation in music education and contributed to the design and teaching of HE programmes including new blended learning programmes for music educators and adult learners. She was Head of Professional Skills (2004-2009) and her teaching includes the postgraduate module ‘Making Art Happen’. Whose Music? Musical values and social justice Whose music we hear, we value and celebrate speaks much of what we feel and value as a society. Music can divide us or connect us. Jazz and pop music have their roots in fostering solidarity, in shaping the political consciousness of the oppressed and unheard. They have united and given voice to the disempowered. The inclusion of jazz and pop music within the Conservatoire is significant. This short provocation reflects on debates about inclusion and social justice surrounding musical learning within and outside of schools in the UK. It questions how this experience shapes the perceptions of music students in the conservatoire and highlights the opportunity to instil a deep understanding of the connection between music and social justice in the musicians and music teachers of the future. 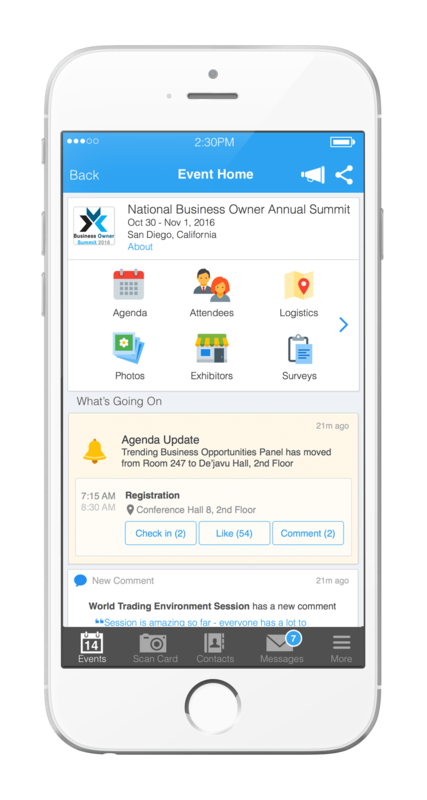 Attendees please download Whova event app, to access the information of all 9 speakers.